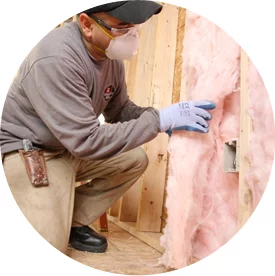 Do you need to insulate a home or community of homes you’re building in the Chicago, Illinois area? Look no further than ThermaSeal / Lakeside Insulation! We are experts when it comes to insulation and other solutions for all types of homes. 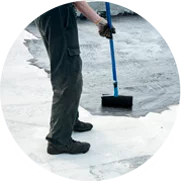 When ThermaSeal / Lakeside Insulation installs insulation in a new house, our trained staff of professionals will get the job done right, on time and safely. We offer the knowledge, experience and resources that few companies can match. To learn more about our residential insulation company and the services we offer for new construction projects in the Chicago area, contact us online or call (800) 836-2535 today! Fiberglass: Fiberglass, which has been used to insulate houses for decades, is available as loose-fill or batts. Fiberglass is made of tiny glass fibers and can be installed in different areas, from attics to basements. Cellulose: Cellulose is environmentally friendly—it consists of up to 85 percent recycled material and takes less energy to make than other insulation materials and can be installed in walls of homes. Spray foam: Typically made of polyurethane, spray foam is applied wet and expands into thick foam. Spray foam insulation can be installed in crevices and hard-to-reach areas and can help reduce air infiltration. Radiant barrier: Radiant barrier is a type of reflective insulation material typically installed right under the roof to help reduce cooling costs by reflecting radiant heat. We have worked with many builders and contractors to make sure new homes are as energy-efficient and comfortable as possible with the right insulation. Whether you’re building a new home or a community of homes, you can count on the ThermaSeal / Lakeside Insulation team. 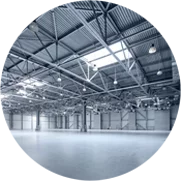 We have worked with many builders and contractors in the Chicago, Illinois area. Contact our insulation company in Chicago today or call (800) 836-2535 to learn more about our residential insulation services or to get a FREE estimate for your project!